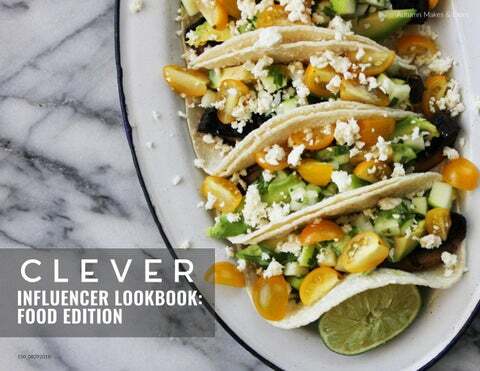 REAL PEOPLE TELL THE BEST BRAND STORIES CLEVERâ&#x20AC;&#x2122;s curated lineup of wildly creative & trusted influencers bring your food to life. We represent the best who create the best. EVERY TIER EVERY AUDIENCE EVERY SIZE Our diverse roster of unparalleled food influencers provides infinite brand reach & speaks across demographics. 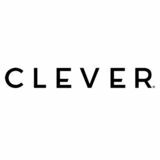 CLEVER represents every tier with the best talent & most engaged audiences across all platforms. BIG NAMES & COLOSSAL REACH Let the Hollywood heavyweights of the culinary world (and beyond—Oh, hey, Snoop!) riff on & personalize your brand’s message. CLEVER influencers have extensive experience in the highly regulated booze industry â&#x20AC;&#x201D; we got you covered. Cheers! CLEVER client Coffee-mate syndicated Influenc Rebel Chick’s photos and recipe across their own channels with epic results! cally for your brand, CLEVER influencers craft stunning most importantly—timeless. You can use digital me, anywhere—for years to come. RE. REINVENT. THIS STORY IS YOURS. Flip through to see our Influencers' most mouthwatering content.